Quick post for you today, as I’m busy getting ready for a sweet little girl to turn nine tomorrow. 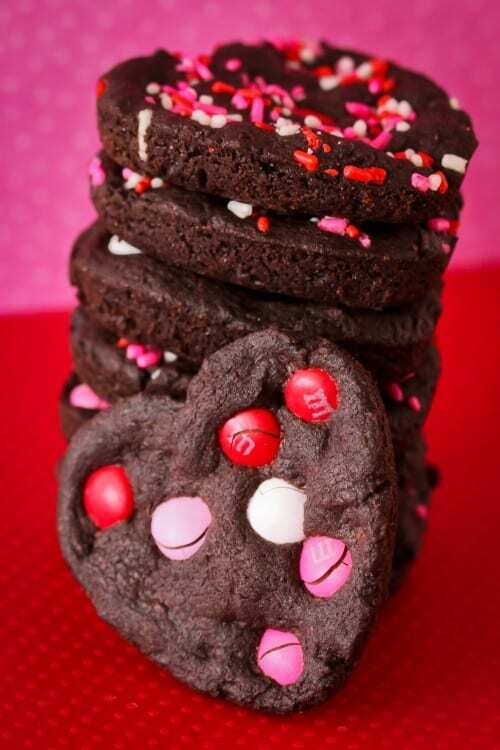 But I had to share these delicious chocolate heart cookies for Valentine’s Day. I used my much loved Chocolate Cookie recipe that was inspired by Levain Bakery’s cookies. 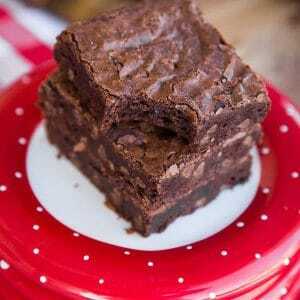 This is my all time FAVORITE chocolate cookie recipe, and it’s so simple. 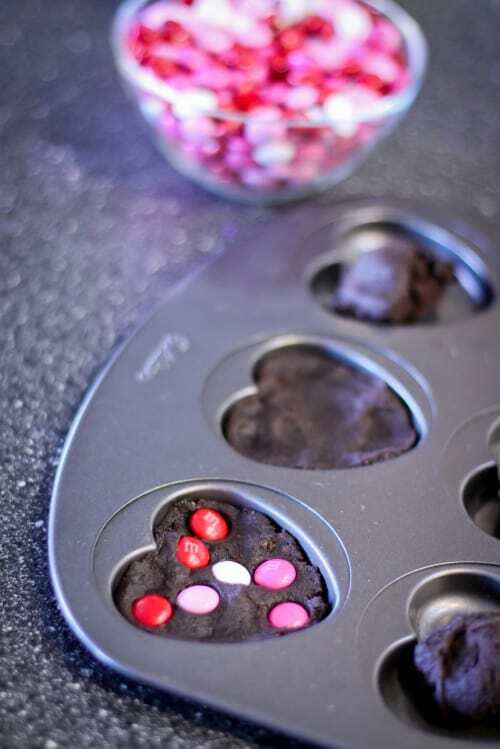 To make my hearts, I simply put my dough into a heart shaped whoopie pie pan. 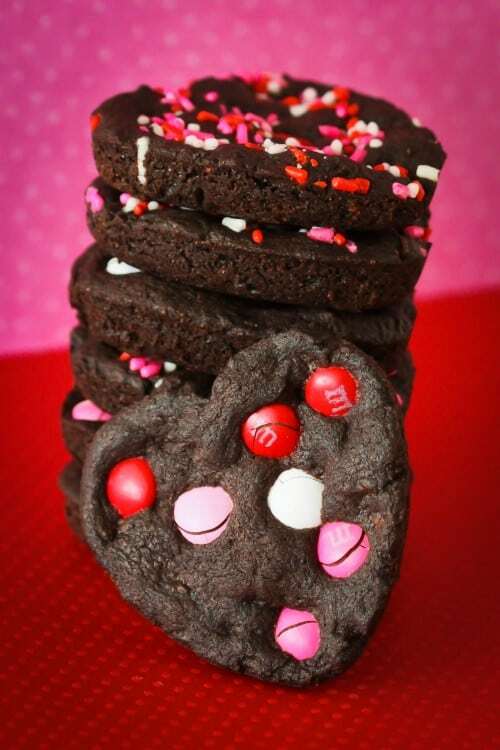 The recipe isn’t altered at all, other then adding in Valentine M&M’s and Valentine sprinkles (and cutting back on the chocolate chips due to the M&M’s addition). 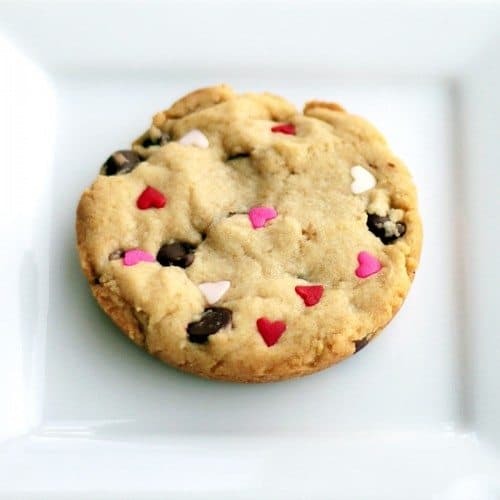 Here is a more detailed post from last year when I made chocolate chip cookies in a whoopie pie pan (before I had the cute heart versions of the pan). Here is the pan I used for these cookies. 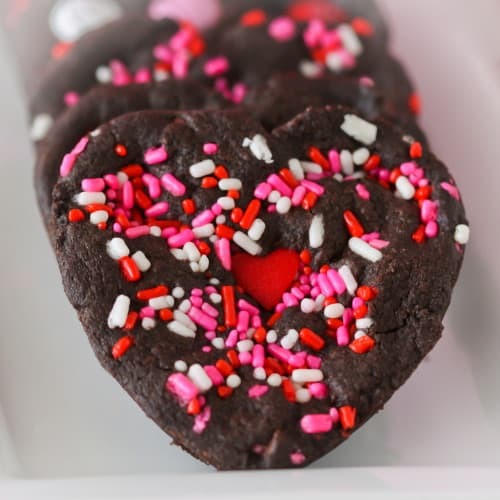 Here is a bit more info about how I made the chocolate heart cookies. These are seriously SO yummy! Even if you don’t have a whoopie pie pan, you can make them as drop cookies – they really are delicious. 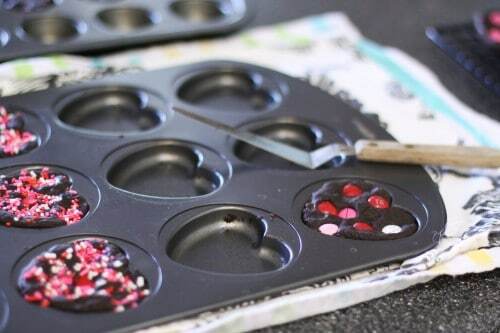 This is the heart shaped whoopie pie pan I used. I did not mix the M&M’s and sprinkles into my cookies, but that was only because I was using part of the batch to make birthday cookies, so I added the M&M’s and sprinkles to the top of the cookies in the pan. 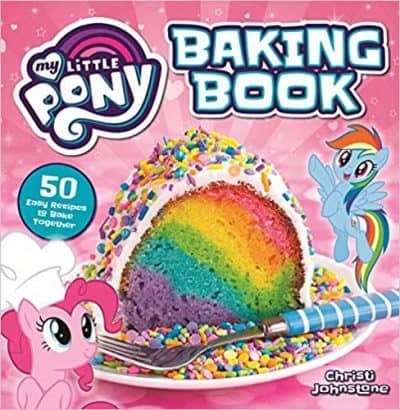 Baking time was right about 10 minutes. I did not oil my pans, but it probably would have helped. I was able to pop the cookies out pretty easily by running my small offset spatula around them, and then slipping it under to lift them out. Now it’s time for me to get back into the kitchen to work on the birthday cinnamon rolls for tomorrow morning. Have a great day! 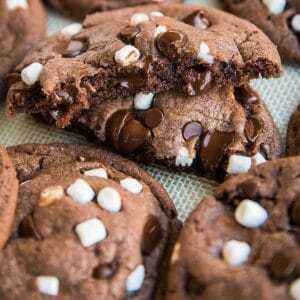 I really need to get a whoopie pie pan so I can make some awesome looking cookies like yours!!! 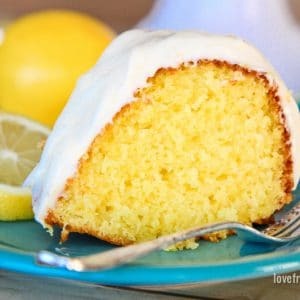 I love how fat and delicious they look!!!!! 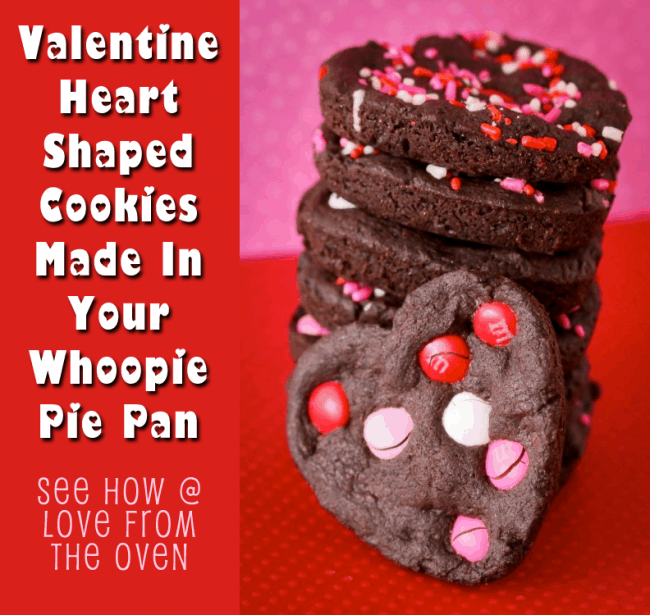 oh I have never seen the heart shape whoopie pan, add that to the list of stuff I must have. 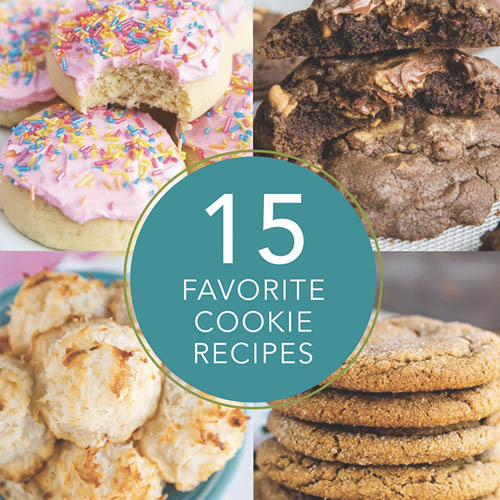 the cookies look divine! Beautiful! I’ve only used my whoopie pie pan once and I never thought about making cookies in it. Love this idea!! I love finding new ways to use pans that seem like they only have one purpose. Very festive and cute cookies. Totally makes me want to buy a heart shaped whoopie pie pan. These cookies are so darling. 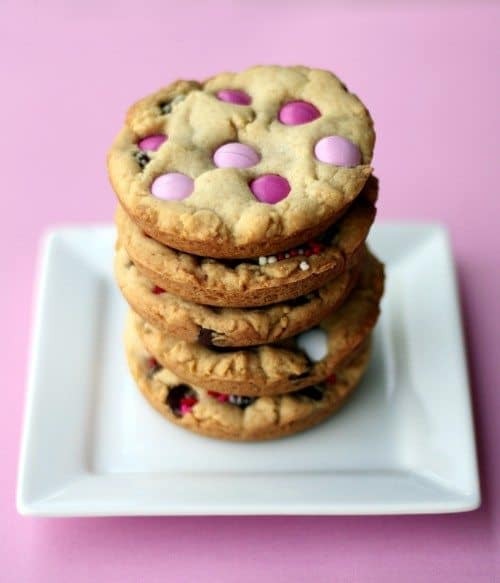 They remind me very much of the Vday cookies I would get as a child as a treat. 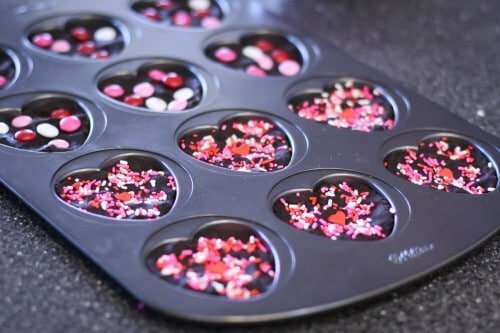 I am impressed by how moist the Valentine’s Day chocolate hearts look in the picture and the particular thickness. Can’t wait to try and share them! 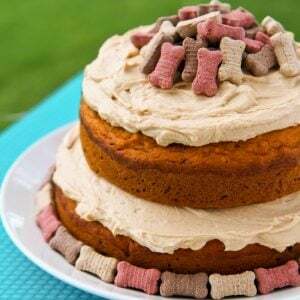 These are so beautiful and I bet they are yummy too! 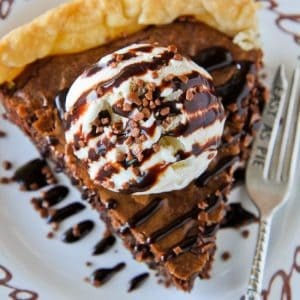 I need to get a pan like that! Love all your pictures! These are awesome and I am linking them up in a roundup Im doing! They look SO GOOD, Christi! These are great! My wee girl is gonna love them! Thanks so much for sharing! How much cookie dough do I use for the heart shaped Chocolate cookies? Judy, I just put enough dough in to completely fill the bottom of the well (so the whole heart shape) but not filling it quite to the top of the well. The photos in the post show my dough in the pan prior to baking to give you a better idea. Hope that helps! 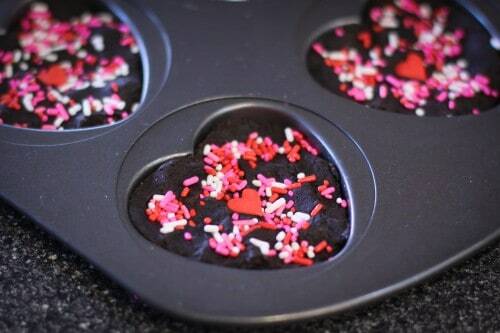 Could you use a a heart shaped cookie cutter instead? If so how big does it have to be? 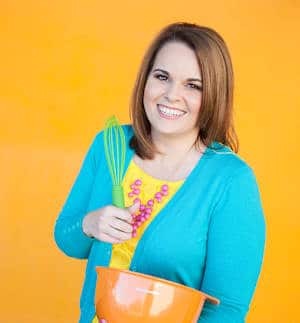 Brittany, you could always make a bar cookie recipe (or brownies) and cut them out with any shape cookie cutter you like. 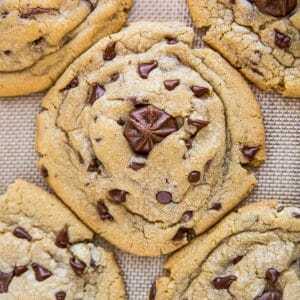 These cookies are “drop” style cookies, so not sure how they would work with a cookie cutter. Sorry. How many cookies did a batch make? Thinking of these for my son’s classmates. Thanks!